West Adelaide will be aiming for their first win of the campaign when they host opening round victors West Torrens Birkalla in Round 2 of the South Australia PlayStation4 National Premier League at Adelaide Shores Football Centre tonight. 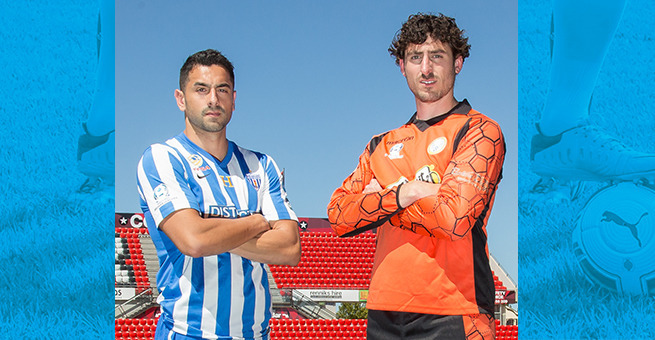 West Adelaide started their 2015 campaign with a 0-0 draw away to Campbelltown City last Sunday. Coach Paul Pezos says it was a steady start to the new season and notes they are some areas that need improvement. “I thought it was a steady performance from the boys,” he said. “They worked well given it was the first game. We need to improve in some areas, but I was happy with the effort showed. “We need to put our chances away and work on our structure in the final third. The Blue and Whites, newly promoted last season, were a penalty shootout away from reaching the Grand Final, only to fall to eventual champions Croydon. Pezos says the goal this term is to improve on that as his side prepares to face Birkalla. “Improving on last year is our aim, so that is getting to the Grand Final. “And from a personal standpoint, my aim is to give youngsters a chance, which happened in our first game. West Torrens Birkalla started the new season in emphatic fashion as they downed South Adelaide 4-1. Jordan Watson led the way last Sunday with a hat-trick. Coach Steve Degiovaniello was pleased with a debut win on the bench. “I was absolutely stoked, I thought it was a fantastic performance and a great start which gives a young group a world of confidence,” the coach stated. “The boys brought in their good pre-season work to Round 1 and while I am satisfied, I don’t want to get carried away. It’s only one win. Birkalla endured a frustrating campaign in 2014 and eventually finished just five points clear of relegation. Degiovaniello believes Birkalla can target a top six spot this year, but says West Adelaide will provide a measure of where his side is at. “Our aim is to go as far as we can. I’m not putting expectations on the squad, but my feeling is we are capable of reaching the finals. Tonight’s match will be viewable via live stream at www.nplsa.com.au with commentary via 1629 Adelaide.